Big commercial Agri-business interests would have us believe that their produce is just as good as the organic stuff, only cheaper and easier to mass produce. Don’t you love it when the little people take on a big issue and make a big impact. Never doubt that a small group of concerned citizens can change the world. Want to be more active and live longer? The New York Times reports that Ria Chhabra was inspired by hearing her parents debating the topic of whether organically grown food provide greater health benefits than conventionally grown produce, and decided to investigate for herself. Ria chose to research fruit flies as they have around 75 per cent of the genes that cause disease in humans and they have a short life span. This means that relatively quickly, differences emerge and can be measured. Her creative experiment was developed with researchers at Southern Methodist University in Dallas. Half of the flies were fed an organic diet and the other half a conventional one. The results? They found that eating organically improved fertility, stress resistance, physical activity and longevity – not a bad package of benefits really. The researchers commented, "these data suggest that organic foods are more nutritionally balanced than conventional foods, or contain higher levels of nutrients, leading to improved fertility and longevity". Not so useful if you want to die young without children, but good for the average, family minded ones! Another key finding was that the diet had to be balanced. Flies that were fed only one type of organic food had shorter lifespans and were less fertile than those fed a more balanced diet. Our data show that Drosophila (fruit fly) can be used as a convenient model system to experimentally test potential health effects of dietary components. Using this system, we provide evidence that organically raised food may provide animals with tangible benefits to overall health. While the results are by no means conclusive and cannot be directly extended to humans, they add to what many of us who eat organically feel – it is well worth the effort – for us and our environment. And we are not alone. Currently organics is a 1.2 billion dollar a year industry, and is one of Australia's top five growth industries. On the environmental front, one recent study found that commercial corn crops used a whopping 71% more energy than organics; while other studies have shown how organics reduce greenhouse gas emissions. Plus, as a Stanford study recently found, organic produce had a 30% lower risk of pesticide contamination than conventional fruits and vegetables. However, there is a major issue, the relative price of organic versus conventionally farmed foods. A recent analysis of Australian supermarket prices by Suncorp Bank found that organic food is 79% more expensive than conventional, with some items up to 300% dearer. Enter one of my new found heros. 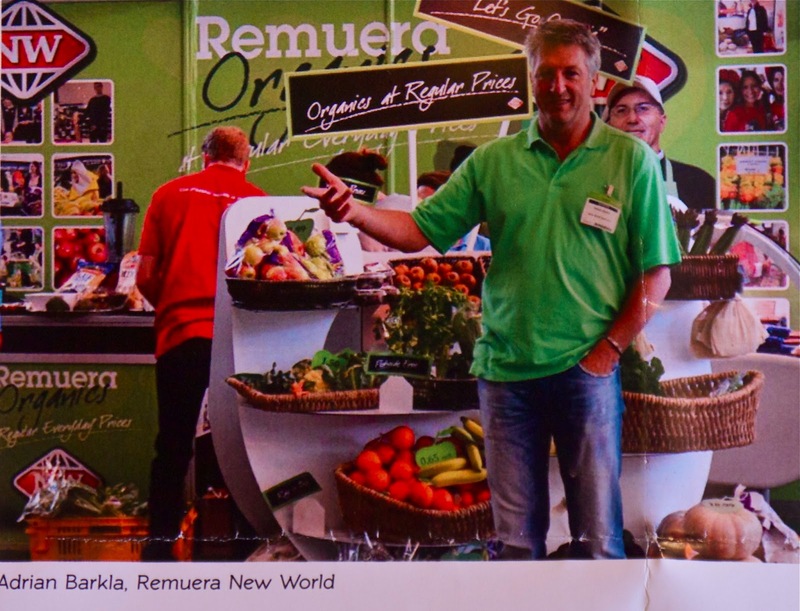 Adrian Barkla is the owner of New World, Remuera, one of the biggest supermarkets in Auckland, NZ. Adrian is a strong advocate for organic produce. Actually, he is much more than an advocate, Adrian has managed to establish a large organic section in his supermarket and features the fact that the prices for the organics are the same as those for the commercial produce. On the day Ruth and I visited the supermarket and met with him, it was certainly bustling. Adrian hopes to be a game changer and to inspire, or commercially pressure his neighbouring supermarkets into following suit on his organic lead. How has he done it? How has he kept the prices down? Well he is passionately committed, but Adrian told me he has made many direct contracts with organic growers. He loves the personal connection. The growers love the assured market and the public love the outcome. And Adrian’s turnover is huge. Everyone is winning. A great model for what is possible with a little creativity and commitment. So, what to do? I would urge everyone to tell their local organic produce providers of what Adrian has achieved and to encourage the notion that price does not need to be a barrier; they need to be kept down. Perhaps we need to go to Farmer’s Markets more often and then tell the big chain Supermarkets this is what we are doing. While it is lovely many supermarkets are now adding an organic section into their stores, I cannot help feeling that organics are trendy enough these days to command a high premium and that this fact is being exploited. Think about this. If it requires less energy (because less commercial fertilizers are used) and the costs are down, why do we have to pay so much for organics? I dream of the day when sustainable, organic farming/ food production practices are the norm. In the mean time, it certainly adds even more weight to the home veggie garden! Ours is enjoying a wonderfully productive Autumn. Ruth and I are donating our time to support Shepparton High School’s World Challenge, a great project to support the students, so if you are nearby, come along and enjoy the day while you support the students. Bookings: contact the bursar on 5821 4322 or in person at Shepparton High School. 2. Melbourne Workshops - only 2 weeks away, booking soon recommended. Looking after ourselves, maintaining a healthy, healing, vital lifestyle takes some doing. Come along and be reminded of what is important, learn of new research and how it applies in daily life, and be re-invigorated! Lots of new material on nutrition. Bring the family, invite a friend or two, inform your colleagues! Maybe you know someone living in Melbourne who would benefit/like to attend. Getting out in the sun could save your life! The less sun, the greater the risk of breast cancer. Australian researchers have found women living south of Coffs Harbour have almost twice the risk of those living above the line. The risk rose to more than double again when comparing women living below or above Brisbane. Less exposure to UV sunlight and subsequent lower vitamin D levels explained the risk. The message is simple, get regular, moderate exposure to sunlight (do not let your skin burn) or take a Vitamin D supplement. What can we learn from a very fast old car? Plenty really. I drive a Subaru WRX. Fabulous car. I was fortunate and happened to buy the 1998 model, in my opinion the best looking WRX of all time. Sleek, elegant, relatively cheap, and bloody fast! My car is about to celebrate its 15th birthday, having just turned over 300,00Kms. Yes 300,000Kms! And it still goes very fast! And yes, I know that these days it is about as politically correct to admit to loving driving fast as it is to loving being a smoker, but it is a fact. I love speed. Always have. As a fast car, to get to be 15 years old and to continue to look as good as you did in the early days, to continue to go as fast as you did in the early days; it all takes some work. Good care, regular servicing, a few running repairs, and maybe a facelift! My WRX came with all the raw ingredients. The car looks terrific to my eye; it has beautiful lines, is compact, elegant and very practical. In many ways it looks like a modest hatchback. But then there is this incredible turbo-charged Boxer motor that is hooked up to everything that matches. The outcome? A racing billycart. Sure the ride is a little rough, but it moves fast, handles extraordinarily well and has been incredibly reliable. I love driving this car. But then, the truth is the car is serviced regularly by the best Subaru people I could find using only genuine parts. It has never had an accident, despite being driven very hard in its early days, more sedately of late. 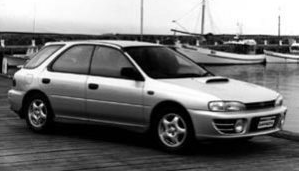 It did blow up a transmission at 30K, but Subaru recognised an in-built fault and replaced it free of charge. Being automatic, the transmission did need replacing again recently. The only other difficulty was when the failure of a minor part led to a major engine problem at around 200K and the bottom half of the engine needed replacing. And I did have it resprayed a year or so ago. So the simple metaphor. Compare the car to the body. My body is 63 years old. Still goes quite well despite being short of one leg, one lung and most likely one kidney. But this body of mine, like the WRX, gets very well looked after. I am quite particular about what goes into it this body of mine. The WRX would probably run on basic unleaded; splutter along at least; but it goes best on Premium and that is also better for its engine. My body, like the WRX, is a combustion engine. You put things into it, it burns them up and it goes. The WRX has a simple combustion engine and I am very particular about what I put in its petrol tank. My body is an exquisitely complex combustion engine. It makes logical sense to be even more attentive to what goes into my own tank. Why not use the best? Why not eat the best? For me, regular meditation is like servicing. Worth doing daily. Going on retreat is a more deliberate form of servicing, as is having a regular massage, taking time out in the garden or going for a walk. Regeneration time. When I need to, which is often, I want to know that everything has been done, everything is ready, so that I can be at my best. Why not be at your best? This seems to be unknown or overlooked by many, but in my view, good food, really good food, is way more effective then a facelift. Eat consistently well and skin tone is good, wrinkles smooth out and an inner glow emerges. Why not look at your best? For me, driving is one of the best moving meditations. To drive safely, especially if fast, you need to be very present, very mindful. Not overly tense, not spaced out; just right - really relaxed in the true sense of the word. Sharp and relaxed. Aware. Why not be aware and mindful? Actually, I treat my body better than the WRX. I like to think I treat it like a Formula One racing car, where everything is taken seriously, but there is a lot of fun involved. That attitude certainly helped me to recover from a very difficult cancer. And these days, while I am not fixated, I am fairly diligent, and this attitude helps me to make the most of the bits that I do have, to live and enjoy life to the full, and to make the most of what it is that I have to offer to others. And finally, along with the WRX’s milestone 15th birthday next month, I will celebrate returning to having no demerit driving points against my name. Not sure as the years advance if I am becoming more politically correct or just more careful? Food 101 - What food goes into your tank? BOOK You Can Conquer Cancer – for all the answers to your food questions, and how to be confident of, and enjoy Formula One food! CDs Eating well, Being well – outlines the dietary recommendations found in my experience to be best suited to those interested in eating well - for themselves and the family. Eating for Recovery – more specific recommendations for those affected by cancer. Builds on the first food CD, so if you are managing cancer, the two CDs are necessary. Wow. 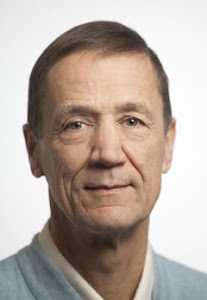 I was naive enough to imagine last week's guest post from Professor George Jelinek explaining why he and I consider coconut oil to be best avoided would only interest a few. Actually, it attracted a huge readership and led to much discussion, including many valuable questions and answers from George and myself that are worth visiting in the Comment section. Saturday May 11th : Meditation and the Power of the Mind. Like a mini meditation retreat; lots of practise together, some interesting new science, and a neat review of technique and theory. Sunday May 12th : Living Well, Being Well On preventing illness, recovering from illness and being really well. Lots on healthy lifestyle, treatment options and nutrition , including heaps of recent research and how it applies in daily life. Bring the family, invite a friend or two, inform your colleagues! Maybe you know someone living in Melbourne who would benefit/like to attend. This will be the Dalai Lama’s ninth visit to Australia. This time based on his book, Beyond Religion, Ethics for a Whole World, His Holiness will discuss how to put ethics into practice in everyday life. I am often asked where to obtain a good meditation cushion. The Gawler Foundation stocks great wooden seats to kneel upon as well as cushions, or you can order great Zafus (buckwheat filled, round cushions) online from Blue Banyan. They also have buckwheat refills for well used, flattened Zafus that need replenishing. Recent research demonstrates that after an average 16-year follow-up, people who consumed a “Western-type” diet, including a high intake of red and processed meats, whole dairy products, and fried foods, were more likely to die prematurely and to suffer from various chronic diseases including heart disease, stroke, cancer, and mental health disorders, compared with people who avoided such dietary patterns. Researchers analyzed data from 5,350 participants from the WhitehalI II study in London and scored dietary patterns using the Alternative Healthy Eating Index (AHEI) to assess disease risk. People with better AHEI scores had better overall health outcomes as they aged. Akbaraly T, Sabia S, Hagger-Johnson G, et al. Does overall diet in midlife predict future aging in phenotypes? A cohort study. Am J Med. 2013; 126:411-419. Unlikely title. Intriguing title. Great book of fiction mixed with fact based on the adventures, learnings and insights of a stray cat adopted and cared for by the Dalai Lama in Dharamsala, Nepal. 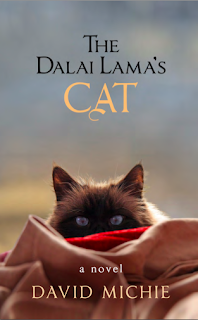 It has a whimsical sense of humour, warmth and compassion running through and provides a gentle introduction to Buddhist principles through the eyes of a wayward but curious cat. Highly recommended for all, but maybe a good present for teenagers and those older who are interested in the meaning of life. The author David Michie hails from Perth and Ruth and I met up with him and his lovely wife while speaking there last week. Is coconut oil safe? What if something you believed to be true was incorrect? I love being constructively challenged, and recently have had a series of passionate people object to me stating in workshops that coconut oil is best avoided. The human mind is not capable of grasping the Universe. The child knows that someone must have written those books. So here is George’s guest blog answering the question: Is coconut oil safe? Bhoy oh Bhoy! Is coconut oil the next big thing? I love Danny Bhoy. I saw his ‘Dear Epson...’ comedy show in Melbourne on Thursday. Danny Bhoy is endearing and very funny. But he is also perceptive. His show is about letters he has written to companies that have misled him with their claims. Like Clinique with its ‘Aging Reversal Cream’ that he smothered on from head to toe trying to get back from his 39 years to being a teenager. The packet did say ‘clinically proven’ after all, and he was as excited as a puppy about being young again. This led him to the story of one drunken night as a young man when he fell asleep (read lost consciousness) and woke to find his cat had peed on his head. Realising many years later that he had retained a full head of hair, he felt that is was evidently clinically proven that cat pee prevents baldness! I have to say when reading this I could not help but think of the cat pee. In medicine, we use a hierarchy of evidence to determine whether something works or not in disease in humans. Suffice to say, the reason there is a lot of debate about coconut oil is that there is not a lot of evidence; if there was, there would be no need for debate. In the absence of high quality evidence from clinical trials, it is wise to look at the chemistry of what is going on when eating various fatty foods to see if there is a problem with coconut oil. Not widely known or acknowledged is that the major issue with dietary fats is their melting points. Fatty acids are the building blocks of the membranes, or outer envelopes, of our bodily cells. The composition of our membranes mirrors exactly our dietary patterns of fatty acid intake. Saturated fats, mostly found in meat, typically have high melting points; this is easy to see when you put a chop on the barbecue and the fat only melts when the temperature is really high. When it cools down again, the fat is solid, white and sticky. So if we eat principally saturated fats, our cell membranes end up hard and sticky. This is a real problem. Most common Western diseases reflect these hard, sticky, brittle properties of cell membranes; think clots in the heart, high blood pressure from hard arteries, strokes and deep venous thrombosis. Unsaturated fats, including the monounsaturated fats like olive oil, and the polyunsaturated fats like fish and vegetable oils, have lower melting points. You can see that they are liquid at room temperature. Membranes containing these fats are soft, pliable and non-sticky; we know that populations where these fats predominate in the diet have low rates of the common Western diseases. So the key issue is whether the melting point (MP) of the fat we eat is below that of body temperature (37C); if the MP is below 37C, the fatty acid will be liquid and behave that way in cell membranes. We also know that with saturated fats, the shorter the fatty acid chain, the lower the melting point. Many who promote coconut oil say that it is composed primarily of medium-short-chain fatty acids, and thus has a totally different effect on the body from typical long chain fatty acids. So is coconut oil safe? I guess I could use the logic of Danny Bhoy’s cat, and say that, having not eaten coconut products at all in the 14 years since my diagnosis of multiple sclerosis (MS), and having had no relapses or deterioration of any sort since, not eating coconut products is clinically proven to protect you from the effects of MS; or I could say that my reading of the scientific literature, which kept me away from these products, as well as other saturated fats, in the absence of better evidence provides enough rationale for me to avoid coconut and its oil. That, among many other health decisions I took, have combined to keep me well. Decide for yourself if you think taking coconut oil is worth the risk. Many thanks George, I think I will stick to the flax seed oil along with some olive oil,; and I will continue to suggest avoiding coconut oil. 1. Meditation in the Desert – Who are you? A couple of people have recently paid to attend this retreat by Bank transfer without leaving any details of who they are! If you have paid and received a receipt, no problem. If you have paid and not heard from us, we do not know who you are!! So please email Angela at info@insighthealth.com.au and make contact. 2. Melbourne Workshops approaching rapidly, booking soon recommended. Also, maybe you know someone living in Melbourne who would benefit/like to attend. Recently In Perth, I was interviewed as part of a fundraising event for the Cancer Support WA group and the WA launch of my new edition of You Can Conquer Cancer. Verity James is a well-known and much loved WA identity, having been a long-term presenter for ABC radio and contributing to many community events. I very much enjoyed interviews with her in days gone by, and for this event she conducted a lengthy interview/ conversation with me that some may find worth a listen. Click here. 4. Eating meat - more than a mouthful. In the new edition of You Can Conquer Cancer, I point out that one reason meat consumption is not so healthy as plant based proteins is due to the metabolic products contained in meat and produced by the digestion of meat. According to a recent study, people who eat meat produce more artery-clogging by-products than people who follow vegan and vegetarian diets. Researchers followed 2,595 heart patients and categorized them as omnivores, vegans, or vegetarians and found that those who consumed the most carnitine, present in animal products, increased their risk for heart disease by producing more artery-clogging metabolites. This study lends insight into other components of meat products, besides saturated fat and cholesterol, that may elevate the risk of heart disease. Koeth RA, et al. Intestinal microbiota metabolism of L-carnitine, a nutrient in red meat, promotes atherosclerosis. Nat Med. Published online April 7, 2013. Before Easter, Ruth and I led our annual 7 day Meditation in the Forest retreat. It caused me to reflect personally upon the 4 traditional stages of learning and practising meditation, and that ultimate goal where meditation becomes a continuous part of daily life and there is no further need for formal practise – non-meditation. Also, the Melbourne weekend of workshops is only a few weeks away. So a friendly reminder. Most of the recent events have booked out, so if you, family, friends or colleagues are planning to attend, booking soon may make good sense. I must say, the new cycle of workshops, focusing on research breakthroughs in the areas of neuroplasticity, epigenetics, telomeres and nutrition, coupled with plenty of time for meditating together and good conversation amidst like-minded people, has been a delight to present and well received. Finally, powerful research exposes one of the major challenges for modern medicine, Big Pharma, balanced by an extraordinarily moving music video from Eric Whitacre. Fresh back from speaking at the Holistic Cancer Congress in New Zealand, and before heading off to Western Australia to present a series of workshops came our annual Pre-Easter Meditation in the Desert retreat at the Foundation’s delightful Yarra Valley centre. Even leading a meditation retreat provides some genuine peace amidst a busy life. But it raises the question. If meditation is about learning to be more relaxed, more centred, more at peace, more calm and clear in our thinking and our very life; is there a point where we actually “get it”, and cease to need to formally meditate; where we reach the stage of non-meditation? I have been meditating fairly continuously and seriously for nearly 40 years. I have had the best of teachers, and the good fortune to introduce and contribute to the teaching of many others. So this seems like something it would be useful to share; what happens for me in my own meditation practice. The bottom line is I have meditated around 500 hours each year for many years now. I like to think it is reasonably true that to some degree in my daily life I am “relaxed, centred, at peace, calm and clear in my thinking and my very life”. As a blessing of my teachers and my regular practice, it is probably fair to say that to some degree I have actually “got it”. But being open, I need regular practice to sustain all that. My life is very busy and often productive. I am often working with people in the midst of the maelstrom of personal crisis as they face life-threatening situations. I have been a public figure for many years and faced the full range of challenges and emotions, so called positive and negative, that such a life entails. But as the years go on, despite all this, there has been a way through, a way that has left me feeling more content, more fulfilled at a deeper level. Happily, Ruth continues to find me good company. And how? Regular meditation has been the key. I do my practice these days because I enjoy it, but also because I know it enables my unbalanced back to remain stable and healthy atop its one leg; and I know meditation enables me to remain in a “good” state of mind amidst the ups and downs of everyday life. 2. Clear seeing: realizing the truth of what one is actually aware of. This is somewhat like the marriage of mindfulness and wisdom. 3. One taste: Where there is awareness of the 2 aspects of the mind, the thinking mind and the more essential, true nature of the mind; and both of them are known to be aspects of the same truth. 4. Non-meditation: Where the awareness of truth is simply there throughout the day and night and there is no need to meditate or not to meditate. The job is done. Non-meditation. So I fantasize about reaching this point of non-meditation, but in the interim, am bloody grateful for my teachers and my own personal kindness (commonly known as personal discipline) that has me meditating every day. And gives me the opportunity to teach others. Some of you may have noticed that a previous blog post took it upon itself to jump onto the home page. It is a mystery as yet as to how "A New Way of Living" suddenly appeared in front of last week's post on "The 2 best ways to practise mindfulness", but if you missed the mindfulness post, it may be worth scrolling down! 3. Eric Whitacre in Concert and on video. Eric Whitacre combines ethereal “modern” (as in composed recently by himself) classical music and singing with state of the art new technologies. He is coming to Melbourne and will perform with Ruth’s brother David Berlin, principal cello at the MSO, on Sat, April 13th. In a moving and madly viral video last year, Eric led a virtual choir of singers from around the world. He talks through the creative challenges of making music powered by YouTube, and unveils the first 2 minutes of his new work, "Sleep," with a video choir of 2,052 on this great TED talk. Well worth a few exalted minutes: Link here. Here is the Abstract from a major recent research paper that speaks for itself. Normally I would paraphrase research findings, but this one seems best to be reproduced as is. Review of the literature and analysis of the multiple pathways through which the industry has directly or indirectly infiltrated the broader healthcare systems. We present the analysis of the industry influences at the following levels: (i) evidence base production, (ii) evidence synthesis, (iii) understanding of safety and harms issues, (iv) cost-effectiveness evaluation, (v) clinical practice guidelines formation, (vi) healthcare professional education, (vii) healthcare practice, (viii) healthcare consumer's decisions. DOI: 10.1111/eci.12074. To link to the reference, click here. During Meditation in the Desert, ( September 5 to 15) I will be expounding on the 4 stages of meditation discussed above, along with other aspects of practical Buddhist techniques and philosophy. The 2 top ways to develop mindfulness in daily life. We all notice how good it feels when someone gives us their full and undivided attention. This is mindfulness. Really being interested, really giving our full attention to someone or something; and doing it non-judgementally. Mindfulness is a particular state of mind that is easy to learn, relevant to everything we do, alleviates stress and generates joy! No wonder it is becoming trendy. And being easy to research, the scientists love it. There is now good science to support the claims that mindfulness will enhance your health and wellbeing, and support healing in general. How then to best develop mindfulness? There are two great ways; both relatively simple, both of great benefit to practise. Jon Kabat-Zinn is an American who has helped popularise this way of training our minds. He defines mindfulness as focussing our attention on our current moment experience, deliberately and non-judgementally. By contrast, being mindless is when we are doing something and our mind is elsewhere; thinking of someone or something else, dwelling on the past or fantasising about the future. Now of course, mindlessness is pretty normal – as in very common! This is why most of us benefit from training to be more mindful; more focussed, more present. To learn to become more mindful, we begin by practising what we call focussed or deliberate mindfulness. This is where we focus our attention on just one thing, deliberately and with no judgement. So this can be as simple as formally paying attention to the sounds around about us, to our breath, our body; whatever one thing we choose to focus upon with our attention, while at the same time, we aim to remain like a non-judgemental observer; as much as possible, free of internal commentary, free of judgement. There is a natural peace in simply being mindful. We practice and begin to appreciate this. With our minds open, curious, aware; we notice whatever it is that we have chosen to focus upon. No need to force anything, or deny anything. Open. Aware. Free of judgement. Mindful. So easy. Of course, when we aim to be mindful our mind can wander; we can become distracted or simply “space out”. Again, we benefit from noticing this. Whenever necessary, we bring our mind back to the focus of our mindfulness. Open mindfulness is the next step. This is as simple as being fully aware of whatever comes into our awareness at this particular moment. No more, no less. Rather than choosing to focus on something in particular as we do with focussed mindfulness, now we simply notice whatever it is that comes to our attention. Maybe it is the sounds around about us, maybe our own thoughts, some sensations from our body. We simply notice whatever it is that does come to our awareness and we aim to do so free of any commentary, free of any judgement. First we practise open mindfulness formally, sitting as we would for meditation. Then we experiment with open mindfulness in the course of our normal day. Mindfulness teaches us to be more present, more in the present moment and soon we begin to notice a wonderful thing. There is actually no stress in the present moment. No anxiety either. We create stress and anxiety by excessive, unhelpful thinking and this necessitates that we are "out of time". To be stressed we need to think about and be affected by the past or the future; we need to be out of time. In the present there is only peace. As we practise and learn to be more mindful, we learn to give more attention to the present moment. Of course memories from the past are still useful and planning for the future makes good sense. But now we do not dwell on them. We remember the past with an increasing fondness. We do all we can towards an ideal future, and we learn to combine this with going with the flow. The formal practice of mindfulness translates directly into daily life. The more we learn to give our full attention to whatever or who ever we are engaged with, the better everything flows. This is why mindfulness is such a good practice to learn and develop in formal sessions, and then to take with you into daily life. Of course, mindfulness also quite naturally leads into the deeper stillness of meditation. So many good reasons to develop mindfulness. April 4; Evening dinner and talk with Verity James and Ian, along with Ross Taylor launching You Can Conquer Cancer in the West. How fortunate are we! This will be the Dalai Lama’s ninth visit to Australia and this time His Holiness will provide thought provoking scope to explore the positive impact of ethical behaviour on ourselves, our loved ones, fellow human beings, communities, countries and ultimately our shared global community. Based on His Holiness book, Beyond Religion, Ethics for a Whole World, His Holiness will discuss how to put ethics into practice in everyday life. Arianna Huffington discusses the growing trend in corporate America to take steps -- meditation, yoga, mindfulness trainings -- to reduce stress and improve health and creativity. Arianna comments “Even a quick look at what's happening in the American workplace shows that it's a seriously split-screen world. On the one hand, there's the stressful world of quarterly earnings reports, beating growth expectations, hard-charging CEOs, and focusing on the bottom line -- the world that is the usual focus of CNBC and Squawk Box. On the other hand, there's the world populated by the growing awareness of the costs of stress, not just in the health and well-being of business leaders and employees, but on the bottom line as well. I have been asked to speak on Meditation and Sustainability in my local community in a few weeks. 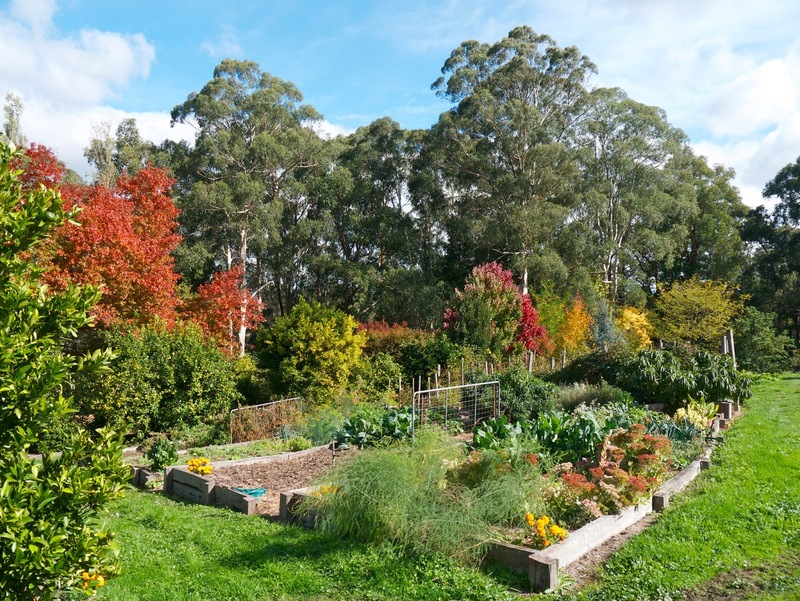 A nice opportunity if you care to visit the Upper Yarra Valley, meet some of the locals and learn more about sustainability. Soy products can improve survival from lung cancer, according to a new study published in the Journal of Clinical Oncology. In the Shanghai Women’s Health Study, 444 women were diagnosed with lung cancer. Researchers examined the women’s diets before and after their cancer diagnosis. Those who ate the most soy products cut their risk of dying by nearly half, compared with women who ate the least amount of soy. Previous studies have shown that soy products reduce the risk of developing lung cancer, and have a similar ability to reduce the risk of breast and prostate cancer. Yang G, Shu XO, Chow WH, et al. Soy food intake and risk of lung cancer: evidence from the Shanghai Women's Health Study and a meta-analysis. Am J Epidemiol. 2012;176:846-855.